Does your 'Performance Improvement' program REALLY work? Medicare requires that “The group of professional personnel meets frequently to advise the agency on professional issues, to participate in the evaluation of the agency’s program ...” Your home health software should have an Incident Reporting System to document all incidences. Then you should be demonstrating efforts to mitigate the incident (change in policy, employee training etc) and evaluate the effectiveness of the effort (as evidenced by same statistics after policy change, training etc.). Collecting, studying and implementing changes to policies and procedures is an effective Performance Improvement Program and meets the criteria required by Medicare, JCAHO, CHAP and ACHC. What is Performance Improvement (PI)? After hiring a new employee, Agency XYZ orients the new employee to the agency's incident reporting system. The agency's policies and procedures clearly define what constitutes an incident, and how and when to report incidences. One of the reportable incident types is 'patient falls', i.e. the employee must document the occurrance of a patient fall on the agency's Incident Form. Over a given period, the agency receives six (14) incidences which relate to patient falls. 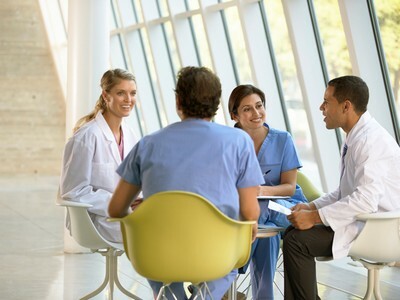 When the Professional Advisory Committee (PAC) meets, they discuss the occurrance of the patient falls. From the documentation on the incident reports, the group determines that patients/caregiver need more teaching on basic home safety. The agency develops a new home safety training sheet for patients/caregivers and instructs all direct caregivers to reinforce the safety training tips at each visit. Over the next reporting period, the agency receives six (6) incidences related to patient falls. Although there is a decrease in patient falls, the PAC determines that certain patients, those with mobility deficits, still have an increased incidence of falls. The group determines that patients with mobility deficits should have a physical therapy evaluation. The cycle of data collection, policy changes and re-evaluation never ends. Performance improvement never 'ends'. You should always be collecting data, and then refining your policies and procedures. MyHomecareBiz provides daily Best Practice training classes for our users, including training and support for implementation and Performance Improvement.